Whenever health insurance companies face real political pressure they know it’s best to change the messenger. Their executives and spokespeople clam up and turn to paid surrogates who attack reformers in order to take the public’s eye off the ball: health industry price gouging. 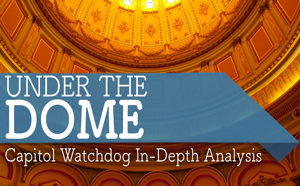 With the heat turning up nationally for California single payer proposal Senate Bill 562 (Lara), which threatens to upend industry profiteering, the same paid attack dogs who came out against regulating skyrocketing health insurance premiums are back. 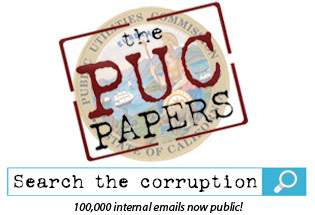 The exposure of massive overcapacity built into California’s electric plants, approved by a corrupt Public Utilities Commission (PUC) at ratepayers’ expense, is driving a new backlash against natural gas powered electricity plants in Oxnard, as well as possibly Huntington Beach, Los Alamitos, and LA Department of Water and Power plants too. United States Senator Bernie Sanders Saturday night called on California to take the lead in healthcare reform and pass a bill that would provide a single-payer healthcare system. “The great state of California can send a message that will be heard all over this country, and all over the world if you pass single-payer here,” Sanders told an audience of 700 at Consumer Watchdog’s Rage For Justice at the Beverly Wilshire Hotel. The former presidential candidate is proposing Medicare for All, single-payer legislation at the federal level.